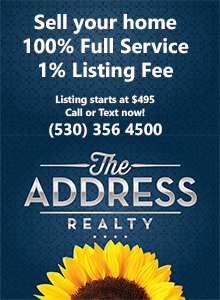 Double dip in local Shasta County home prices? The double dip in home sale prices nationwide is making the news, endlessly repeated by the talking head community. Seemingly confirmed by Case-Shiller. Nevertheless, all real estate is local. As Jim Gillespie of Coldwell Banker points out, it’s an index of only 20 cities. We aren’t one of them. But how are local home prices? Wow. Average home prices in Shasta County are down 25% since November 2010. I did not expect that. There are many caveats to this information. But evidently we are subject to the overall nationwide trend the Case-Shiller home price index further substantiates. Tomorrow, we’ll look at some further local statistical numbers. They are quite revealing. Information is deemed to be reliable, but is not guaranteed. © 2011 MLS and FBS. This entry was posted in Market trends and tagged Market trends on June 2, 2011 by Skip@RHB.